New in New jacket. Lang: -eng, Pages 104. It is the reprint edition of the original edition which was published long back (1895). The book is printed in black on high quality paper with Matt Laminated colored dust cover. We found this book important for the readers who want to know more about our old treasure so we brought it back to the shelves. We tried to manage the best possible copy but in some cases, there may be some pages which are blur or missing or with black spots. We expect that you will understand our compulsion in these books. Print on Demand. New. Trade paperback (US). Glued binding. 252 p. Contains: Illustrations, black & white. New in New jacket. Lang: -eng, Pages 135. It is the reprint edition of the original edition which was published long back (1895). The book is printed in black on high quality paper with Matt Laminated colored dust cover. We found this book important for the readers who want to know more about our old treasure so we brought it back to the shelves. We tried to manage the best possible copy but in some cases, there may be some pages which are blur or missing or with black spots. We expect that you will understand our compulsion in these books. Print on Demand. New in New jacket. Lang: -eng, Pages 173. It is the reprint edition of the original edition which was published long back (1902). The book is printed in black on high quality paper with Matt Laminated colored dust cover. We found this book important for the readers who want to know more about our old treasure so we brought it back to the shelves. We tried to manage the best possible copy but in some cases, there may be some pages which are blur or missing or with black spots. We expect that you will understand our compulsion in these books. Print on Demand. New. 1989201210 Special order direct from the distributor. New in New jacket. Lang: -English, Pages 227. It is the reprint edition of the original edition which was published long back (1896). The book is printed in black on high quality paper with Matt Laminated colored dust cover. We found this book important for the readers who want to know more about our old treasure so we brought it back to the shelves. We tried to manage the best possible copy but in some cases, there may be some pages which are blur or missing or with black spots. We expect that you will understand our compulsion in these books. Print on Demand. New in New jacket. Lang: -eng, Pages 240. It is the reprint edition of the original edition which was published long back (1902). The book is printed in black on high quality paper with Matt Laminated colored dust cover. We found this book important for the readers who want to know more about our old treasure so we brought it back to the shelves. We tried to manage the best possible copy but in some cases, there may be some pages which are blur or missing or with black spots. We expect that you will understand our compulsion in these books. Print on Demand. Written in 1667 Paradise Lost is an epic poem depicting the events of the Bible with an emphasis on Genesis Chapters Two and Three. The following is a list of events included in the narrative: God casting a prideful and arrogant Satan with one-third of the angels out of heaven, the creation of Adam and Eve, the deception of the serpent, the disobedience of Adam and Eve, and their subsequent removal from the Garden of Eden. The Son of God and the archangels Gabriel and Michael play major roles in the story. God's grace, wisdom, and love and Satan's pride, arrogance, and ambition are the major themes of this work. I will admit that this is not easy reading and I really had to focus to understand what was taking place in the narrative. Still, I did like this book a great deal with its rich vocabulary, vivid imagery, and many references to Near Eastern mythology, Egyptian mythology, Greek and Roman mythology, the Bible, and classical literature. I ordered this for my fiance and he is liking it a lot. He hasn't finished it b/c he has school work to do, but he can't wait until the semester is over so he can start reading again. Imagine a book the size of the 7th Harry Potter book, but you don't understand any of the language. Welcome to "Paradise Lost". This book in itself is a literary masterpiece and sheer genius. Using poetry to describe the Fall of Man from different perspectives, it is a great way to open discussions ranging from religion to the secular world. I will admit that this book is very lengthy, so lengthy that you feel like you are dying on the inside and want to rip out your hair. But, it is a sort of accomplishment reading it and if you have a book to interpret the language or Cliff notes, you will find this story fascinating. If it were a motion picture, most likely it would be worth seeing. 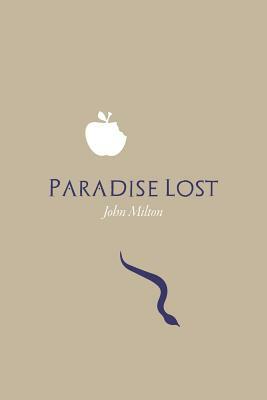 Read "Paradise Lost". If you enjoy that book, read the sequel. I think it is called "Paradise Returned".